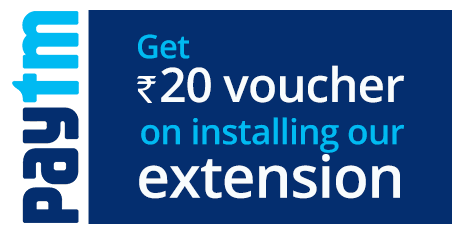 Hey Guys Whats Going on.In this Post i will show you how you can get Rs 20 PayTm Voucher for just installing a Chrome Extension in your PC/laptop. You will get a Popup Click on "Add" button. Now you will get a popup saying "Enter your email"
That's it you will get your Voucher in 3 Days. Valid only for the first time installs. The offer is valid only for a limited time. The Paytm voucher can be redeemed at Paytm site or app. Use the Voucher in the Paytm App. Your post is really providing good information. Thank you for sharing.